Paddling solo may mean paddling alone, but it doesn't have to. Often solo paddlers will be in the company of like minded individuals or they may be with others in tandem canoes. Perhaps the group will consist of both solo and tandem craft. In either case, if the solo paddler is to expect optimum performance the canoe must be carefully chosen with respect to the paddler's physical size, preferred paddling style and perhaps gender. In this context it actually becomes a very personal canoe. The concept is to size the solo canoe so that it fits the paddler as closely as possible and therefore becomes an extension of the paddler's body and movements. 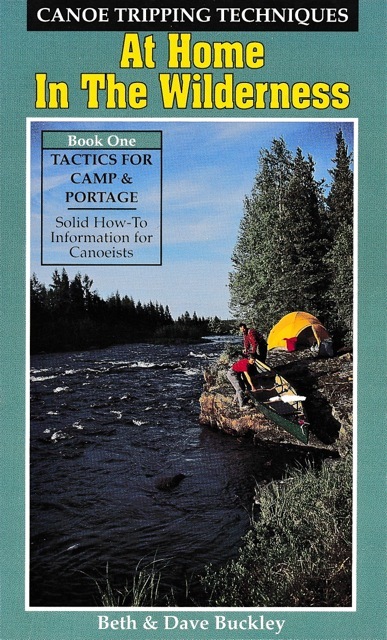 Beginning soloists are surprised to find that a properly sized canoe has similar tracking speed, maneuverability and seaworthiness as most tandem canoes and as one gains experience in these light and nimble craft they are usually able to outperform those in more conventional tandem canoes. Solo canoes are not simply scaled down tandem models. They are uniquely designed to be propelled from a center paddling station and to carry most of their weight in the center 1/3 of the canoe. The length, width, depth and shape of the solo canoe is carefully chosen to accommodate a certain size paddler and to provide adequate tracking speed, stability, seaworthiness, windage profile and comfort for that paddler. What seems stable for a 200 pound male may be almost sluggish for a 120 pound female. We have often encountered women comfortably paddling solo canoes that most men would find unstable at their size. For these reasons it may be necessary to try several models before deciding upon the right personal canoe. The Kestrel and Peregrine are a nicely matched pair of Small and Large or Hers and His models. Carol is 5'3"/135 pounds and Dave is 5'11"/195 pounds. On our frequent trips in the Adirondacks, Algonquin Park or the Florida Everglades, Carol will have 35-60 pounds of gear and Dave 50-100 pounds depending upon the length of the trip. With Carol in a Kestrel and Dave in a Peregrine we have never felt compromised in our canoe selection in any way. These two canoes are equal to any adverse conditions one might encounter in these or similar canoe country environments and a true pleasure to paddle together. Whatever your choice, why not make your next paddling adventure a personal experience. 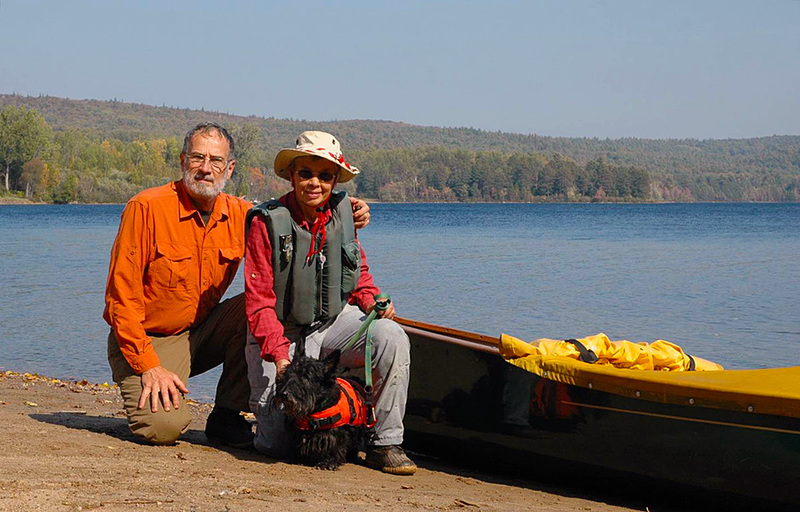 "Dave and Carol Curtis of Hemlock New York have been involved with solo canoes for over 30 years. Dave Curtis is one of the founding fathers of the modern solo sport canoe. He has certainly left an enduring mark with committed paddlers all across North America, and with it a solid reputation for integrity. "Dave has mastered the art of canoe construction. He's been laminating boats since the technology first emerged from the aerospace industry. He is dedicated to designing the best hull laminates, then selecting the highest quality materials to go into the canoes he builds. The results are handcrafted canoes that are lightweight, remarkably durable, and fun to paddle."